To train water work is both fun and challenging. 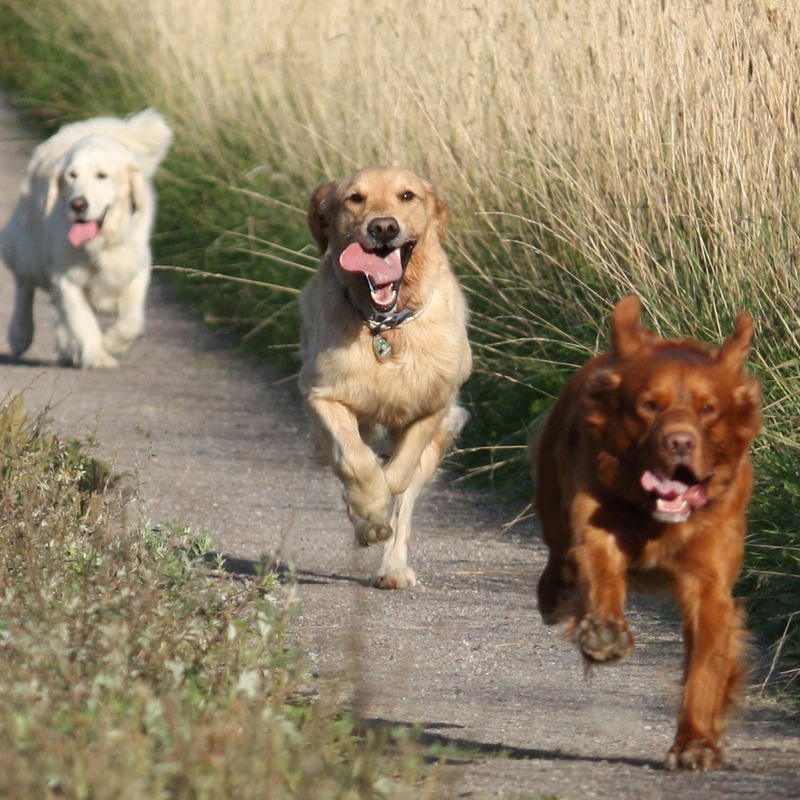 Most spaniels and retrievers love water and sometimes they get too excited as soon as they approach water. 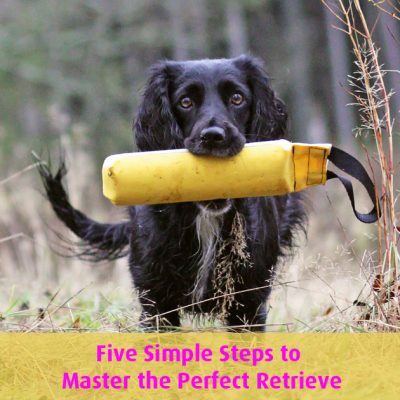 Therefore, we prefer to do a lot of calm exercises instead of training marked retrieves on water, which might get the dog even more excited. 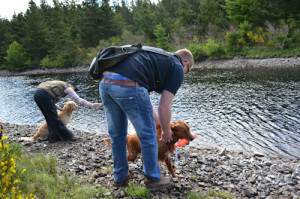 In England, at a Dogs for life summer camp with Philippa Williams, a couple of years ago, we trained water work in a couple of different ways that challenged both dogs and handlers. First of all, each dog fetched one marked retrieve on land, but on the other side of a stream. Then the assistant threw a double marked retrieve on land on the other side of the water; take a look at the illustration to the right. First the assistant threw dummy number 1 and then number 2. After that dog number 1 (standing to the right) fetched dummy number 1. 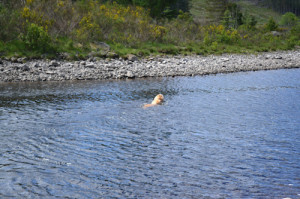 When the dog came back, dog number 2 was sent diagonally across the water to fetch dummy number 2. 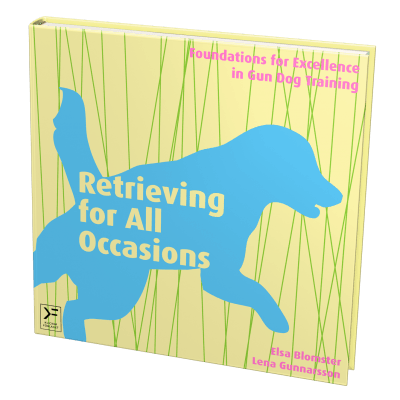 This exercise can be done in many different ways, for example let the first retrieve be marked and then the second be blind and when the dummy is thrown the blind retrieve should be fetched before the marked retrieve. 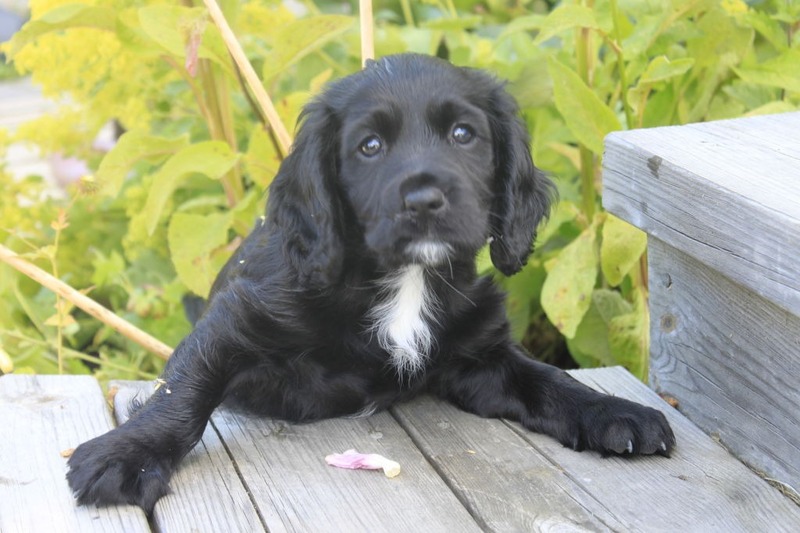 … then dog number 2 is cast diagonally across the water. the point, where we stood in the beginning, and then be cast to the right across the water to fetch dummy number 2. This time the area around dummy number 2 was a huge distraction because the dogs had not seen that a retrieve was hidden at number 1. 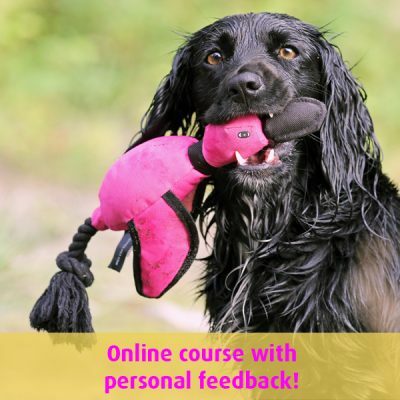 You can start doing this exercise by first showing the dog that there is something at both point 1 and point 2, and then cue the dog to sit at the “stop point”. 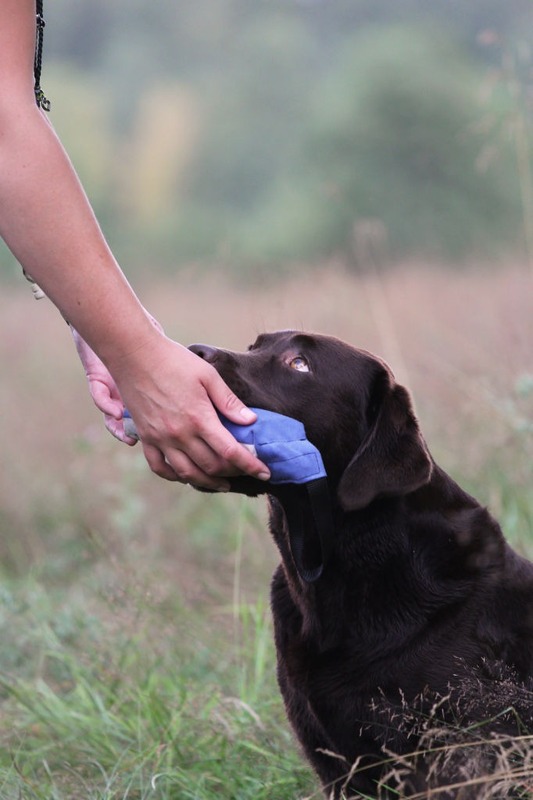 Then you should stand at a short distance from the dog and cast the dog further away/back to point number 1. 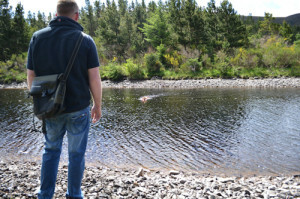 When the dog can do that exercise, you can try to stop the dog at the stop point and vary that with casting the dog further away and to the right, over the water. Below you can see a film where I do this exercise in different ways. However, it is a completely silent film because my cell phone didn’t work … but note that Mio in the middle of the film gets bored and starts doing a lot of tricks instead. She probably thought she should be doing water work instead of Diesel. I appreciate the Swedish-English subtitles. I now know and remember one Swedish word! Tack Elsa.